The best of Ireland’s scenery is featured in our top drone videos today. Known as the Garden of Europe, these top drone footage of Ireland’s scenery are captured beautifully. 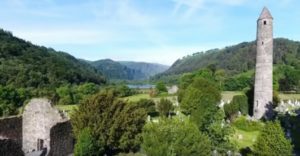 From an eagles view, we cover beautiful Irish scenery including Powerscourt Waterfall and Gardens, Glendalough, Yeats Country, Gougane Barra in Cork, the rugged West of Ireland and County Kerry. The last video is from the Skellig Islands just off County Kerry, where scenes from the last 2 Star Wars movies took place. You will find 40 shades of green, monasteries and castles, lakes surrounded by wild rushes, cliffs, waterfalls and gardens. Ireland sure is a natural garden. Enjoy these drone footage videos and the rugged beauty of Irish scenery. While watching these videos, keep in mind that the latest top drones, make it very easy to create fantastic aerial cinematography videos like the ones below. Ireland is all about history, beautiful scenery, music and friendly hospitable locals. Nowhere compares to the wild countryside of the Emerald Isle with its lakes, rivers, gardens, green fields and rugged coastline. These drone videos capture Ireland’s scenery perfectly. Enjoy watching the stunning rugged beauty of the Emerald Isle. This drone video captures the Powerscourt Estate in all its beauty. The Waterfall located in County Wicklow is Ireland’s highest at 398 feet. The Powerscourt estate and gardens which have recently been voted no. 3 in the World’s Top 10 Gardens by the National Geographic. It’s a great place to bring the picnic basket along with the whole family. This beautiful drone footage of Irish scenery is filmed is stunning quality. The scenery is breathtaking, the filming is superb, the poetry and music make this next drone video a work of art. Enjoy this video filmed in stunning quality using a Red Dragon camera for the ground shots and the top of the range DJI Inspire 2 quadcopter for the aerial filming over Ireland. This quadcopter video of Gougane Barra starts with the 16th century monastery, the fresh waters of the lake surrounded by green pastures and rugged terrain. Just beautiful. Perfect for a picnic and a snooze by the lake. This next video really shows off the ruggedness of the Irish scenery, its small fishing villages and harbors. Don’t forget to count all the different shades of green. There is quite a few shots of County Sligo which is also known as Yeats Country after the Nobel Prize writer William Butler Yeats. The drone footage over Ireland was captured beautifully using a DJI Inspire 1 quadcopter. This is an outstanding professional aerial filming quadcopter and can carry various Zenmuse cameras including a thermal. I can’t describe Glendalough. It’s just too beautiful. So I will just let the drone video show you. Totally Wow. It’s a great place for a picnic, a walk or just to sit around taking it easy. Here is some of the best aerial footage from around West Cork’s landmarks taken by Tom Vaughan. He’s a terrific pilot and top notch aerial photographer for sure. County Kerry contains some of Ireland’s most iconic scenery: surf-pounded sea cliffs and soft golden strands, emerald green farmland crossed by tumbledown stone walls, mist shrouded bogs and cloud torn mountain peaks. With one of the country’s finest national parks as its backyard, the lively tourism hub of Killarney spills over with colorful shops, restaurants and pubs loud with spirited trad music. The town is the jumping-off point for Kerry’s two famed loop drives: the larger Ring of Kerry skirts the mountainous, island fringed Iveragh Peninsula. Dingle Peninsula is like a condensed version of its southern neighbor, with ancient Christian sites, sandy beaches and glimpses of a hard, unforgiving land. Kerry’s exquisite beauty makes it one of Ireland’s most popular tourist destinations. But if you need to escape from the crowds, there’s always a mountain pass, an isolated cove or an untrodden trail to discover. This magnificent aerial footage over County Kerry was filming with the DJI Phantom 4, which is one of the best value drones on the market. 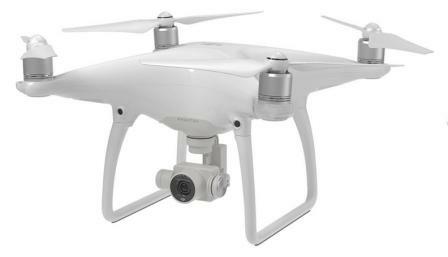 It is used by professional aerial cinematographers the world over. 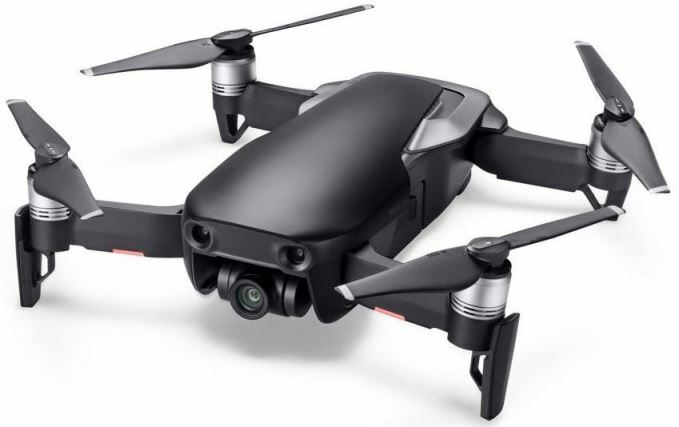 It flies superbly still, films in 4k and has many camera settings for both automatic and manual filming. The name Skellig derives from Sceillic, which means a steep rock. The magnificent Skellig Islands lie 8 miles (12 km) off the coast of Portmagee in South West Kerry. Rising majestically from the sea, Skellig Michael towers 714 feet (218 metres) above sea level. On the summit of this awe inspiring rock you will find a remarkably well preserved sixth century monastic settlement. The Star Wars Skelligs island scenes from Episode VII “The Force Awakens” were filmed at the islands in 2014. The Skelligs feature prominently at the end of the movie where the audience is reintroduced to Star Wars’ original hero Luke Skywalker . Filming also took place in 2015 of Star Wars Episode VIII “The Last Jedi” which was released in December 2017.